SAN CARLOS, Calif., & CAMBRIDGE, Mass., /PRNewswire/ -- Natera, Inc. (NASDAQ: NTRA), a global leader in cell-free DNA testing, and Neon Therapeutics, Inc. (NASDAQ: NTGN), a clinical-stage immuno-oncology company developing neoantigen-based therapeutics, today announced a research collaboration using Natera's Signatera™ (RUO) circulating tumor DNA (ctDNA) assay as a biomarker to assess treatment response to NEO-PV-01 in Neon Therapeutics' NT-002 clinical trial. 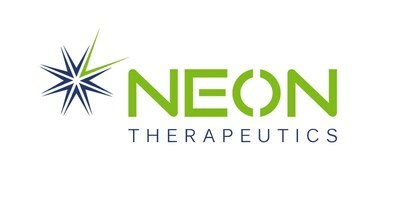 Neon Therapeutics' NT-002 clinical trial is being conducted in collaboration with Merck, also known as MSD outside of the U.S. and Canada, and is designed to evaluate the safety, tolerability, and preliminary efficacy of NEO-PV-01 in combination with KEYTRUDA® and a chemotherapy regimen of pemetrexed and carboplatin in untreated patients with advanced or metastatic non-squamous non-small cell lung cancer (NSCLC). Natera will utilize its Signatera (RUO) ctDNA assay on patients in this study to correlate treatment response with data from these assays. NEO-PV-01, a personal cancer vaccine, is Neon Therapeutics' most advanced product candidate and is designed specifically for each patient based on tumor-specific DNA mutations. Natera's Signatera (RUO) assay is a unique approach to deliver a custom ctDNA assay that matches the patient's tumor profile and is intended to offer high specificity and sensitivity in measuring immunological and clinical treatment response. "This clinical trial is especially exciting for us because, for the very first time, we are combining a truly personal immunotherapy with a personalized ctDNA biomarker to better understand treatment response and resistance in patients with metastatic lung cancer," said Alexey Aleshin, M.D., M.B.A., Natera's oncology medical director. "We are pleased to apply the Signatera technology to the patient samples that we will be receiving in connection with this clinical trial in order to measure the levels of ctDNA across multiple personal mutations," said Richard Gaynor, M.D., president of research and development at Neon Therapeutics. "We endeavor to employ novel tools in order to develop high-quality treatments for cancer patients and look forward to the information that we will receive from this collaboration." This press release contains "forward-looking statements" of Neon Therapeutics, Inc. within the meaning of the Private Securities Litigation Reform Act of 1995. These forward-looking statements include, but are not limited to, express or implied statements regarding our ability and the potential to successfully evaluate our product candidates for clinical trials; our ability to replicate results achieved in our preclinical studies or clinical trials in any future studies or trials; the ability and willingness of our third-party collaborators to continue research and development activities relating to our product candidates; our ability to obtain and maintain regulatory approval of our product candidates; and the potential timing and advancement of our preclinical studies and clinical trials; regulatory developments in the United States and foreign countries. Any forward-looking statements in this press release are based on management's current expectations and beliefs of future events, and are subject to a number of risks and uncertainties that could cause actual results to differ materially and adversely from those set forth in or implied by such forward-looking statements. These risks and uncertainties include, but are not limited to: uncertainties related to the initiation and conduct of studies and other development requirements for our product candidates; the risk that any one or more of our product candidates will not be successfully developed and commercialized; the risk that the results of preclinical studies and clinical trials will be predictive of future results in connection with future studies or trials; and the risk that Neon's collaborations will not continue or will not be successful. For a discussion of these and other risks and uncertainties, and other important factors, any of which could cause Neon's actual results to differ from those contained in the forward-looking statements, see the section entitled "Risk Factors" in Neon's most recent Quarterly Report on Form 10-Q filed with the Securities and Exchange Commission, as well as discussions of potential risks, uncertainties, and other important factors in Neon's other filings with the Securities and Exchange Commission. All information in this press release is as of the date of the release, and Neon undertakes no duty to update this information unless required by law. Abbosh C. et al. Phylogenetic ctDNA analysis depicts early-stage lung cancer evolution. Nature. 2017;545:446–451. Doi:http://doi.org/10.1038/nature22364. Birkenkamp-Demtröder K, et al. Sequencing of plasma cfDNA from patients with locally advanced bladder cancer for surveillance and therapeutic efficacy monitoring [abstract]. In: Proceedings of the annual meeting of the American Association for Cancer Research; 2018 April 14-18; Chicago; AACR. Abstract 3653. Andersen C, et al. Personalized circulating tumor DNA analysis to monitor colorectal cancer [abstract]. In: Proceedings of the annual meeting of the American Association for Cancer Research; 2018 April 14-18; Chicago; AACR. Abstract 159.